Use these multi-textured comb scrapers to create lines, stripes, cross patterns and textures in clay, paint and other mediums. Firm rubber provides control and stability. 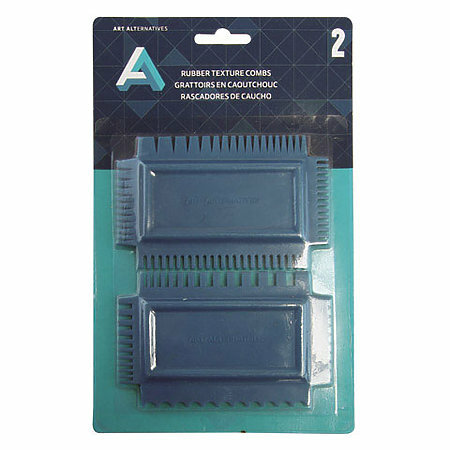 Each rubber comb features a different design on each of its four edges. The set includes two combs.